In other posts, I’ve talked about alternative resources to learn Spanish, such as podcasts or series on Netflix. Today, I will share a selection of anime series to improve your listening skills. A few months ago, one of my students asked about cartoons to watch so she could work on her listening. Like many of my age, I grew up watching animes like Heidi, Marco or Ranma. She and other students enjoy this kind of entertainment a lot and prefer it over tv series. Everyone studying a language should find their own way to learn. If you think anime series can be a good option for you, take a look at the following list. 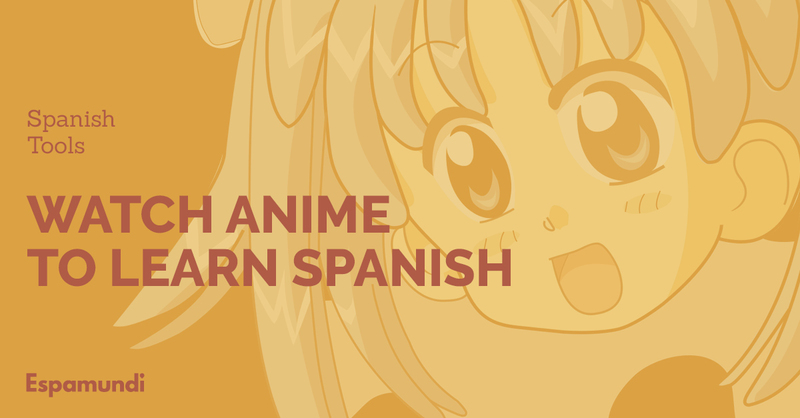 You can find these animes on youtube – links will take you there -, all of them are dubbed in European Spanish except the last one which is dubbed in Spanish from Latin-america. They don’t have subtitles, but my students with an intermediate level can follow the episodes without struggling much. Don’t panic and take it easy if you don’t understand absolutely everything. The purpose of doing this is to familiarise yourself with the language. Synopsis: Heidi is five years old when her aunt Dette, who has raised Heidi since her parents’ death four years earlier, takes Heidi to live with her grandfather on the Swiss Alps. Dette has found a promising job in Frankfurt, but cannot leave while still Heidi’s guardian. Her grandfather lives a solitary life with his dog Josef in a cabin halfway up the mountain; however, Heidi quickly wins her way into his heart with her enthusiasm and intelligence, firmly establishing herself in his life. Synopsis: The series mainly revolves around the sport of association football.focusing on Tsubasa (he is called Oliver Atom in Spain). The series is characterized by dynamic and exciting football moves, often stylish and implausible. The plot focuses on Oliver’s relationship with his friends, rivalry with his opponents, training, competition and the action and outcome of each football match. Synopsis: Marco, a boy who lives with his family in the harbour city of Genoa, Italy during a depression period in 1881. Marco’s father, Pietro Rossi, is a manager of a hospital who dedicates his time to treating poor patients, and therefore the family has financial difficulties. His beloved mother, Anna Rossi, goes to Argentina to work as a maid to earn money for Marco. When the letters from his mother stop coming after an indication that she is sick, Marco fears the worst for her fate. Since his father is too busy working in his clinic and his older brother Tonio was sent to train as a locomotive driver in Milano, he is the only one free to go search for her. Duration: Around 20 -25 minutes each episode. Synopsis: Anne Shirley is a girl raised in an orphanage. She is an imaginative and talkative girl. One day, Anne is accidentally sent to Miss Marilla Cuthbert and Mr Matthew Cuthbert, who had originally requested a boy. Miss Marilla is surprised at first. After learning of Anne’s sad past, she gradually becomes an irreplaceable member of the family of Cuthbert.